Employees are becoming less and less tied to their desks, and are becoming more reliant on their smartphones for business use. These devices enable us to stay connected and productive by giving us access to business essentials – emails, business calls, web-browsing etc. Being mobile has become a key element for the modern business, and a call or message can be the difference between a successful deal, and an unsuccessful one. Therefore, it’s important that you have the best business mobile phone plans for you and your business. There are a plethora of business mobile providers and finding the best business mobile tariff for your company can be difficult. Midshire keep things simple, we provide great business mobile plans and pair it with our excellent customer service and support. As a Samsung award winning mobile provider, Midshire is recognised for our skills and expertise within the mobile industry. At Midshire, we understand that if something were to go wrong, missed calls or messages could cost your business money. That’s why our support team make it their priority to get customers back online and on their feet as quickly as possible. Midshire offer a great range of business mobile phones, so whether you prefer the latest Samsung Galaxy, iPhone, or Google phone, rest assured that we have it in stock and ready for your business. 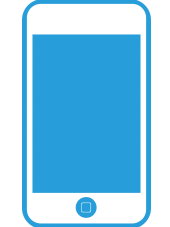 Midshire have some of the best business mobile plans that are suitable for a business of any size, so whether you’re a new start-up, a small business, single site or multi-office organisation, Midshire have a business mobile plan that is perfect for your business. We also provide a great range of mobile bolt-ons for when you need more flexibility from your business mobile plan. Midshire have made key partnerships with industry leading mobile network providers, and as such are able to provide some of the best business mobile plans available on the market. So if you’re looking for the best business mobile plans, talk to an expert at Midshire today and get the best deal for you.